Run your business with total confidence backed by accurate, up-to-date financial information you can depend on. The key is knowing which reports will help you make intelligent business decisions for your company. And, to know that the financial data feeding the reports is accurate, up-to-date and properly accrued. We prepare all the standard weekly, monthly and quarterly financial reports as well as customized, advanced reports geared to your business and industry: P&L’s, Balance Sheet, A/P, A/R, Cash flow, Profit & Loss by Customer, Job, Employee, etc. with GrowthForce’s financial reporting services. We create customized financial reports that are geared to your industry and business. Your Key Performance Indicators (KPIs) are highlighted in your Executive Dashboard, and we'll help you understand how to use reports to better run your business through our financial reporting and analysis services. By having a team of professionals focused on delivering your reports, you get more discipline in the month-end closing process, ensuring your financial statements are accurate and on-time. Imagine, no more waiting for reports that arrive months too late to be actionable – and only give you company wide results – not reports that show the results of your operations. We’ll deliver these reports at the end of each month and review them with you and anyone you designate. You’ll have a monthly phone call or video conference with a member of your dedicated team to make sure you keep your eye on the key metrics and to answer any questions. Your CPA can then do their job to help you reduce your taxes and be the proactive trusted advisor you need them to be. 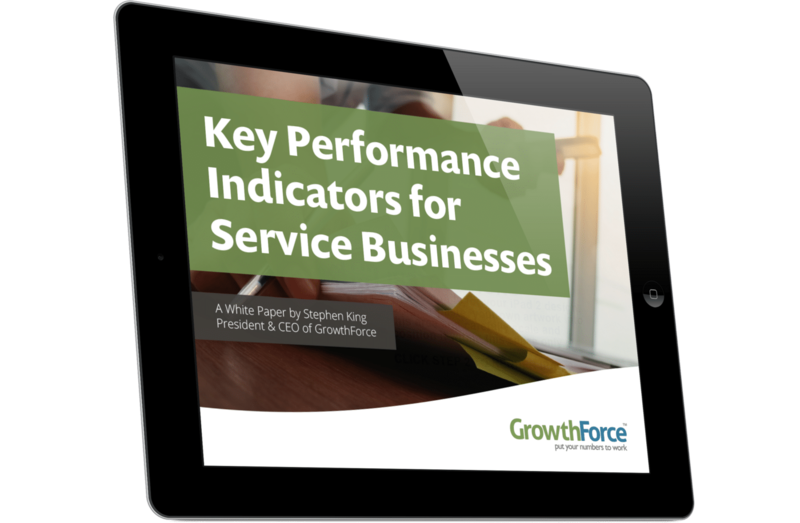 This whitepaper focuses on the specific Key Performance Indicators (KPIs) every service business CEO should use to build and manage a successful business.